Central Park, New York City, is one of the most famous city parks in the world. When you explore parts of its 843 acres, you’re sure to find something or someone interesting to view, and it’s the perfect place to relax in between busy sightseeing tours. 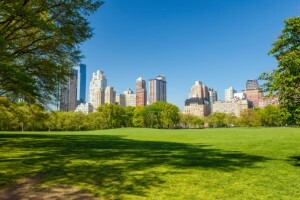 Celebrities are often spotted in Central Park, which adds to the thrill of visiting this well-known recreational space. Drew Barrymore and her husband, Will Kopelman, sometimes pop into Central Park over weekends with their cutie-pie daughter, Olive. You may spot Orlando Bloom with his gorgeous three-year-old son, Flynn, and possibly Flynn’s mom, Miranda Kerr. Numerous movies are filmed here, so you may be lucky and recognise actors who are on set. Late last year, Anna Sophia Robb and Austin Butler walked an adorable puppy in the park while they were filming The Carrie Dairies. Also, if you are a music fan, make sure you’re in Central Park toward the end of September 2014 and attend the free Global Citizens Festival; the line-up is sure to be star studded. Viewing monuments, fountains, Belvedere Castle, the blockhouse and arsenal. Guided tours of Central Park. Enjoying art, music, dancing, and drama. Celebrity watchers have to eat, so combine two of your favourite occupations and make a reservation well in advance at Marea, which patronised by some of the famous personalities. A number of luxury hotels are situated conveniently near Central Park, including Hotel Plaza Athenee, the Lowell, Mark, Pierre, and Plaza hotels, the Ritz-Carlton New York, and Trump International Hotel and Tower New York. You’re sure to bump into celebs during your stay. 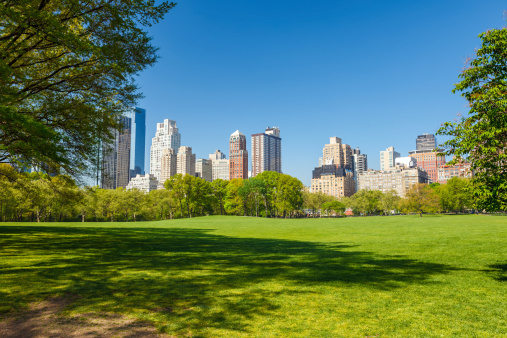 Sundays are especially popular to stroll around in Central Park, spotting celebrities, taking a drink and Sunday dinner or going with a horse carriage. You also have the chance to see a larger section of the park by going on a Central Park bike tour or renting a bike. Popular places to spot celebrities are the Literary Walk and playgrounds where they’re spending time with their children. Other good options include late dinners, around Madison Avenue and Broadway theatre district. Other ways to experience Central Park could be through a Pedicab tour or in a Highlights of Central Park Walking Tour.